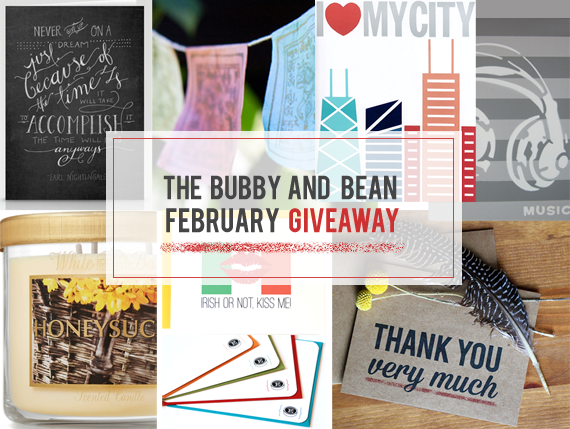 Bubby and Bean ::: Living Creatively: February GIVEAWAY // Win a Prize Package of Goodies Worth $440! February GIVEAWAY // Win a Prize Package of Goodies Worth $440! This month's group giveaway is one of those giveaways that I really wish I could enter myself - the prizes are just that good. 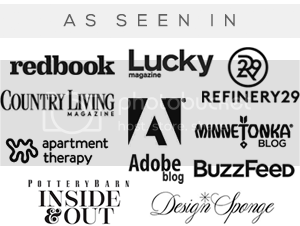 From art to paper goods to custom design work to home decor to life coaching, our February sponsors have really put together an above-and-beyond package this time around. And Bubby & Bean Art decided to throw something in too! This amazing giveaway is valued at nearly $440 - and one lucky Bubby and Bean reader will win it all! 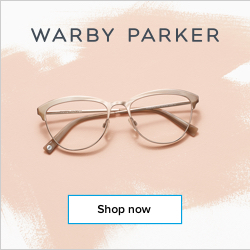 Visit any of the shops from this giveaway (KZ by Kate Zitzer // Row House 14 // Bubby and Bean Art // Jenny Highsmith // Rebecca Murphy) and list your favorite item(s). Follow/subscribe to any of the blogs from this giveaway (Notes From the S Life // Palettes and Passports // Row House 14 // Rebecca Murphy // Jenny Highsmith). This giveaway is open through February 27th and is open to Bubby and Bean readers worldwide. The winner's name will be chosen randomly and announced soon shortly after. Good luck! Would love to win the month of coaching! Followed on blogger, I'd love that honeysuckle candle! I want to win EVERYTHING! Such amazing offerings... but if I have to choose one, the Row House 14 shop credit would be great. A coaching session from Rebecca Murphy would be great! I am following Bubby & Bean on Bloglovin'. I am following Bubby & Bean on Instagram. I am following Bubby & Bean on Pinterest - @koehmstedt. Those honeysuckle candles sound so wonderful. I'm a follower of Bubby and Bean! Follow on GFC! 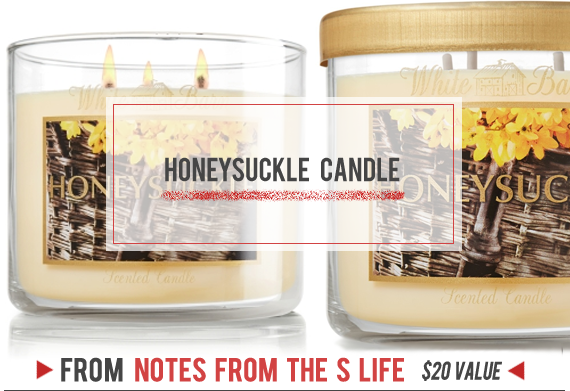 Would absolutely love the honeysuckle candle! 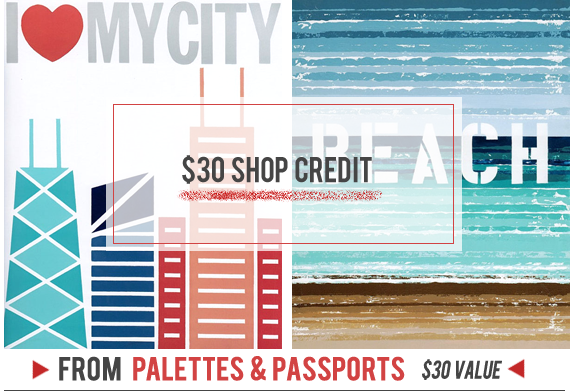 I want to win $30 shop credit from Palettes & Passports! My favorite item on KZ by Kate Zitzer - http://www.etsy.com/listing/81486019/beachside-20-x-24-handpainted-mixed? 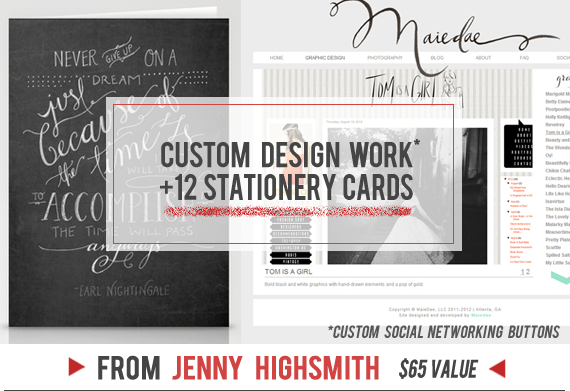 I would love love love to win the Jenny Highsmith package, love her work so much! I follow Row House 14 via GFC. Follow Bubby & Bean on Bloglovin. Follow Bubby & Bean on Pinterest. MOST like the honeysuckle candle! I would love the custom design work and stationary! I subsribed to Jenny Highsmith via gfc. I'd love to win the Bubby and Bean Art! I love the Let's go on an Adventure poster from Bubby and Bean Art. I'd love the Let's go on an Adventure poster from Bubby and Bean Art.! I'd like the b&b gift card! :) Thanks for a great giveaway. I followed B&B on Pinterest! I would so LOVE the coaching!! Already following you GFC under Jackeline Davila. I love the One of a kind Photo Pendant Necklace in Rebecca Murphy's shop, and the Black Dog, Flower and Spider WOOF Art Print and the Live in the Present - Thoreau Quote Hand-Lettered Nature Illustration Print - 8x10 in your shop. Following Notes From the S Life on Bloglovin and Row House 14 GFC under Jackeline Davila. Following you on Bloglovin under Jackeline Davila. My favorite item from kzbykatezitzer is the Music - 8" x 10" Mixed Media on Canvas! My favorite item from Row House 14 is the Girls Long Wanderer Pants! Love the music media from Kate Z. Row house 14 I like the get your egg hunt on cards! I'd love to win the credit to Bubby and Bean - you have the cutest art! I'm not sure what I would favorite from Jenny Highsmith ??? I would love to win the credit to KZ art by Kate Zitzer, so I could by the beachside painting. Then put it by my computer so I can dream of the beach and get inspired! 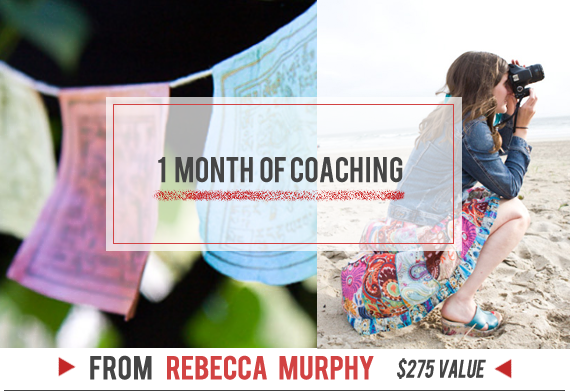 I follow via GFC (Beth W) and I am very excited about Rebecca Murphy's one month of coaching. I very much need that right now! I follow Row House 14 on GFC (as Emily B). My favorite item from Rebecca's etsy shop is the airplane wing perspective "one if a kind photo pendant necklace": http://www.etsy.com/listing/113477727/one-of-a-kind-photo-pendant-necklace? I love the 'hello' flat cards from Row House 14, and their personalized stationary. Thanks for a cool giveaway! I follow via GFC. I most want to win the $30 shop credit! I followed on Google Reader. 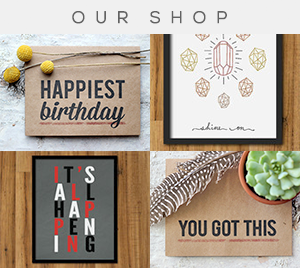 My favorite item is the "You Must Live in the Present" print. Wonderful colors!! I like the "The Adventure Begins" painting from kzbykatezitzer. The fruit and veggie recipe cards from Row House 14 are so cute! 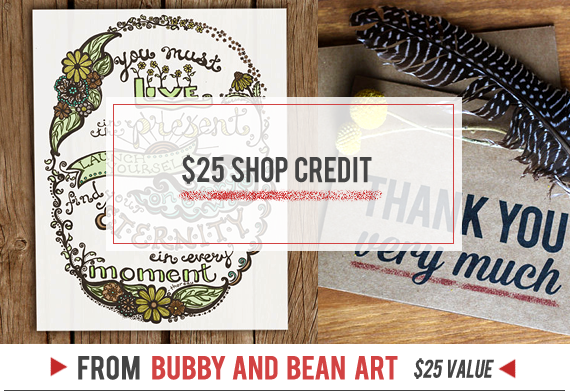 I'd most like to win the $25 GC to Bubby and Bean. 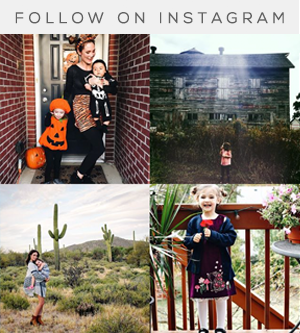 I follow on Bloglovin' (kiddo's shenanigans). I follow on Pinterest (Suzanne Gregg). I follow on Instagram @kiddomerriweather. The one month of coaching or that candle sounds wonderful! Thank you :) I follow your blog! I'd like the honeysuckle candle. Thanks for hosting such awesome giveaways all the time! And I would love the design work! The custom design work is really tempting! They are all great prizes though! Thanks! I love the beach print from KZ! 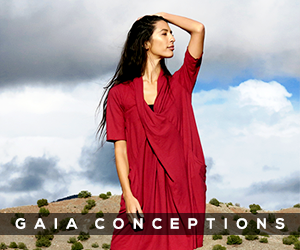 I love the Drawstring Gauchos from Gaia Conceptions! The XOXO card from your shop is definitely my favorite! I love the copper ring Dreamer necklace from Rebecca Murphy! I love ALL the pretty blog designs in Jenny Highsmith's portfolio! I follow Jenny Highsmith's blog! I follow Notes from The S Life via Bloglovin! I subscribed to Palettes & Passports! I follow Row House 14! I subscribed to Rebecca Murphy's blog! Thanks for hosting a fab giveaway!! PS- I like the look of the Custom Design work!! I just has a look at the shops. I like the look of the Purple Painted Panels (Florence) by KZ. I also LOVE LOV LOVE the printed scarf , Blockprint my Everything by Gaia Conceptions (Row House 14). The Lotus flower pendant is so sweet in Rebecca Murphy's shop too!! And I like the 'Why Old Dogs are the Best Dogs' Print from your shop!! and tweeted of course !! and last but not least I have liked the Facebook page!! 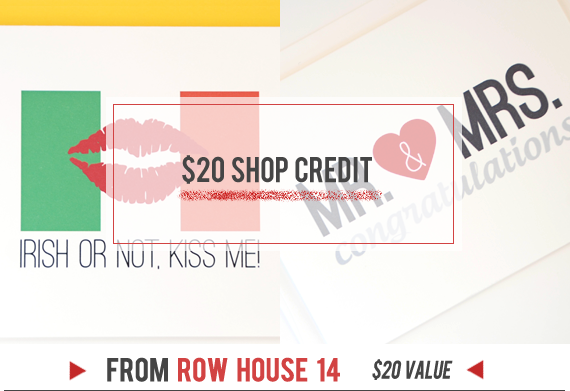 I'd love the Row House 14 shop credit.